'The TRUMPINATOR: I'll Be Back 2020!' Painting Is Out And It's AWESOME! He survived the primaries and got the nomination. He knocked out Crooked Hillary. ClashDaily’s Big Dawg, Doug Giles, puts paint to canvas and captures the attitude, swagger, and all-out Patriotic badassery of POTUS DJT ahead of his re-election campaign. And Dems… you might want to wear a cup. 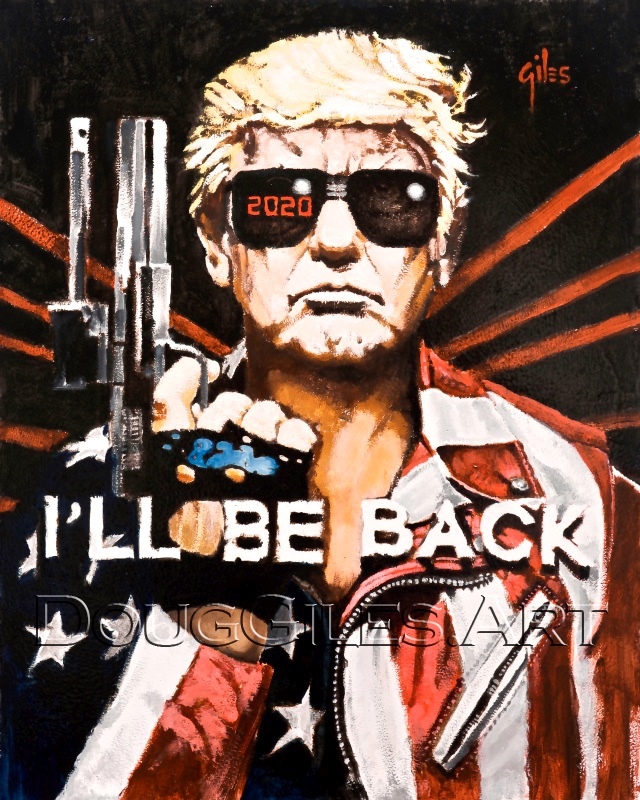 Get your own ‘The Trumpinator: I’ll Be Back 2020’ print here.